Well, another year of photography comes to an end. 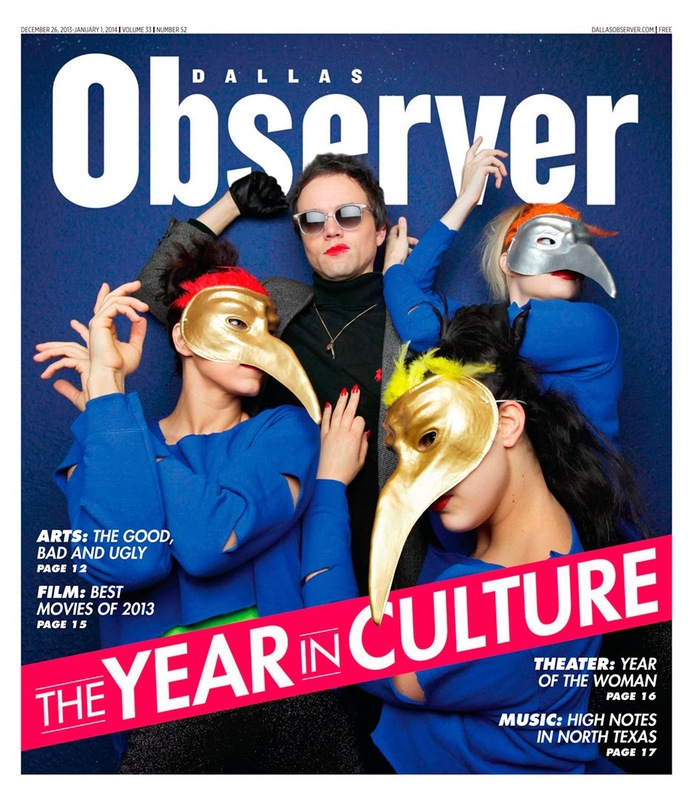 2013 was a good year for photos, and I thought I’d share my final cover photo of the year – another Dallas Observer issue. 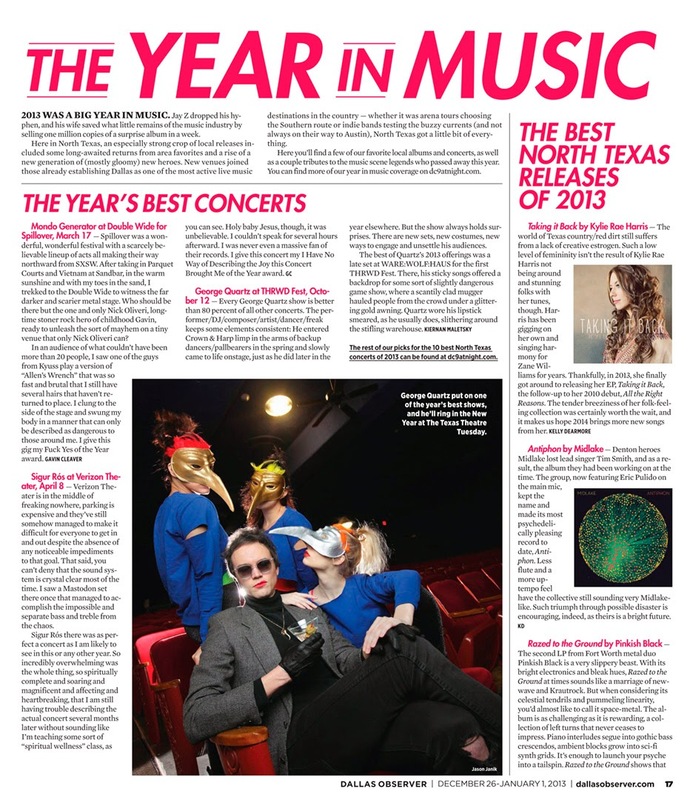 I’ll have a couple more images printed in the Dallas Morning News before the new year begins, and I’m sure I’ll have corporate clients using some pictures for their end-of-year marketing plans… but, there’s nothing quite like seeing your images on the cover of a publication. It’s pretty cool driving down the street and seeing a photo you took staring back at you from a newsstand or shop window. Let’s hope I’m lucky enough to see many more in 2014! 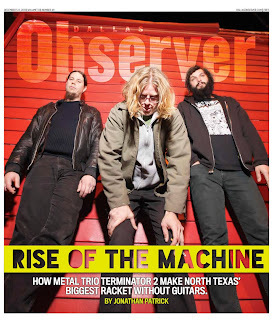 Terminator 2, a very loud Denton, TX band, was a blast to photograph for the last Dallas Observer cover. Sure, it was freezing outside, but who cares?!? 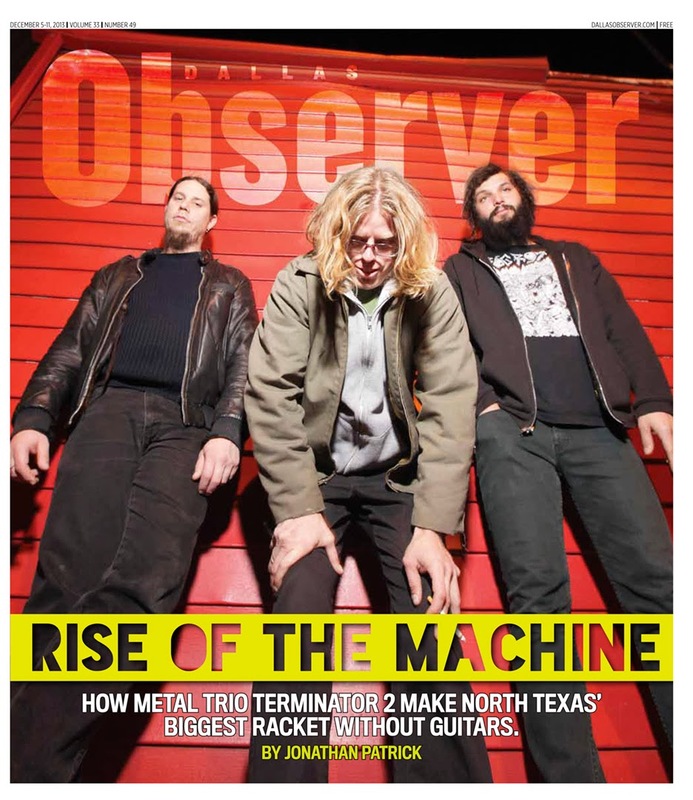 I wanted to capture the essence of the North Texas noise-filled, metal, art-rock(ish) trio. I wanted to balance the band’s drive for artistic expression with their “we don’t care” attitude towards publicity and band promotion. They are one of those bands that really cares about their music, and wants to be discovered the hard way – one new audience member at a time. What better way to convey that feeling on film than to harken back to the images of early 1990’s Seattle? This is my homage to the era of “we are playing music for the fans, and not the man”. I think it works. Just as the grunge, noise rock, and hard rock bands from twenty years ago could say so much in their images without doing a thing, I feel like this photo conveys much more than just three guys doing nothing. I think it has energy. I think it has a whole story. I like it!